On (October 5, 2017), Officer Toledo was assigned to a theft of services cases that occurred at a hotel on Banyan Drive in Hilo. It was reported that the suspect, after a stay at the hotel, attempted to use a stolen check to use as payment for his hotel stay. Officer Toledo was able to confirm that the suspect was a former employee of the business from where the check was stolen. Officer Toledo also contacted Maui Police and learned that the stolen check was taken during a burglary that occurred on Maui, and they were also investigating the series of stolen checks in their jurisdiction. 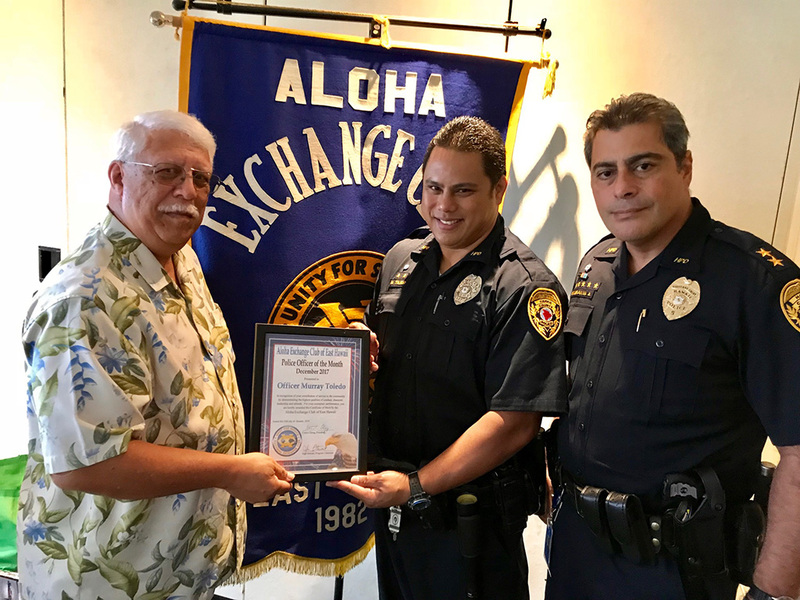 The East Hawaii “Officer of the Month” award is a project of the Aloha Exchange Club Hawaii.